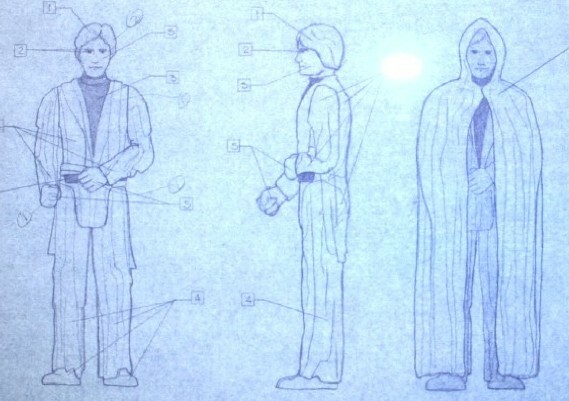 Initially believed to be a post-Power of the Force figure concept, international catalog photography helped confirm what Kenner design blueprints had shown all along. This was the earliest incarnation of the standard Luke Skywalker Jedi Knight action figure released for the Return of the Jedi toy line. The above image shows part of the design blueprint for the figure. The pleats in the robe and the use of the cape are most definitely the look of a Jedi Knight. In addition to the overall look, the pleats near the knees have been almost directly transferred to the action figure. The date on the blueprint actually predates the blueprint for the original bald Emperor design. Also, other Kenner information had this noted as Luke Revenge which is another indication of it being an early Jedi figure. The images above show a literal progression of the figure from drawing to final form. 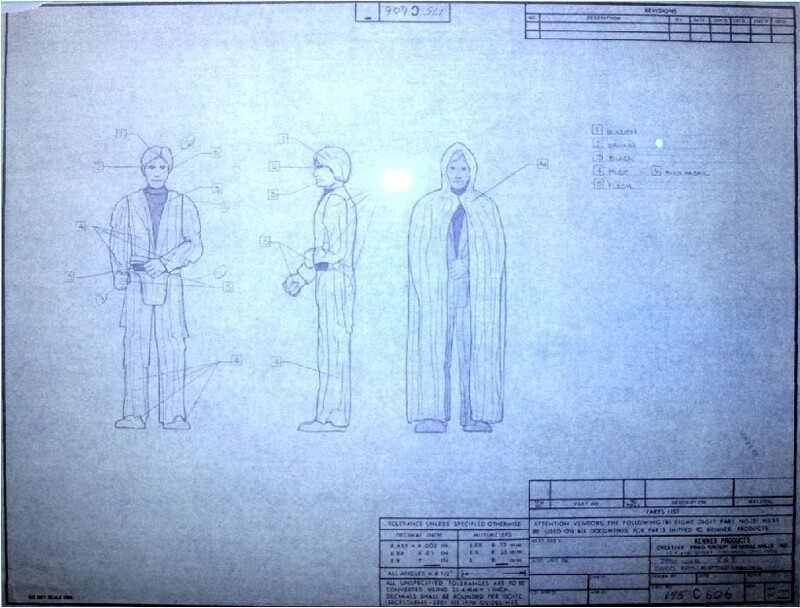 The rendering of the blueprint was done by Kenner and appears to be based on the color of the Ben Kenobi action figure which also featured a sculpted robe form. 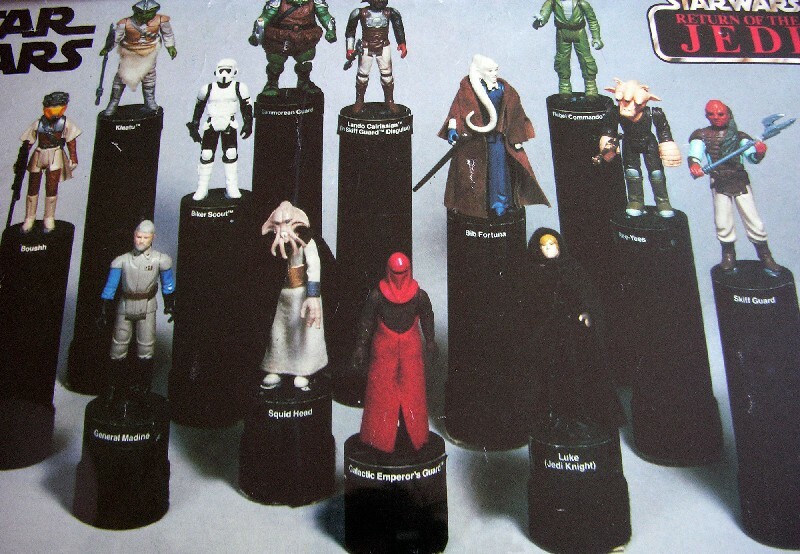 The painted figure is from the 1983 Meccano catalog and shows the fully colored and cloaked figure labeled as Luke (Jedi Knight). 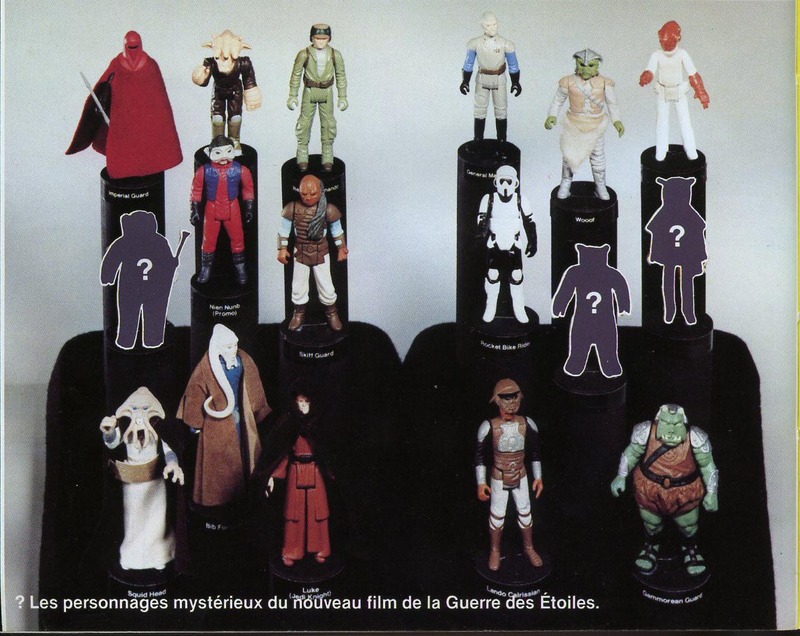 Kenner didn't jump completely from the early design to the final design. The next image shows a mid-stage design that has many differences when compared with the final figure. 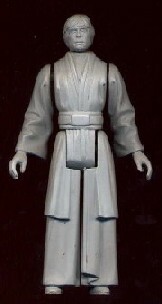 The next image is from a Swedish poster and shows the final version of the Luke Jedi Knight figure, albeit in prototype form as evidenced by the dark-colored cloak. The cloak was eventually changed to a lighter color for production. The final image shows the production figure for comparison which retains the bent left arm as shown on the original blueprint. The Meccano catalog displays the Luke Jedi figure among the other figures in that first wave of Return of the Jedi figures. In addition to the early verision of Luke Jedi other figures are shown in their final form, but feature early names. 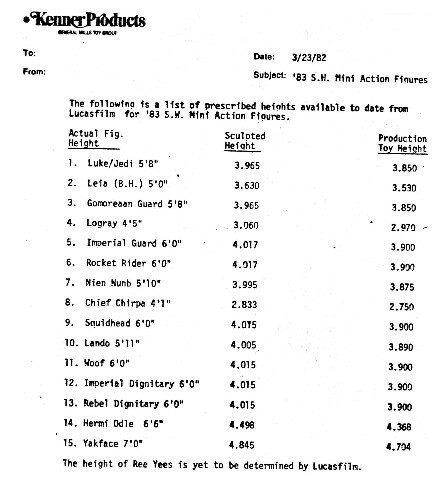 Found also in an early Kenner Memo Biker Scout has his early internally used name of Rocket Bike Rider and Klaatu is referred to as Woof which was the name assigned to him by the folks at ILM. Weequay is still being referred to as his early name of Skiff Guard and The Emperor's Royal Guard is listed as Imperial Guard. The Boushh figure has interesting styling and is shown in silhouette only as the figure likely wasn't ready in time for the photo shoot. The same goes for Chief Chirpa and Logray which also may have still been a secret at the time. Most collector's are familiar with them being blacked out on early ROTJ and Trilogo cardbacks which was done to hide them from public view until the movie premiered. In the Swedish poster, Luke Jedi is shown in his final form and the Biker Scout and Klaatu names have been corrected. This poster interestingly features Galactic Emperor's Guard which is shown without the cape and the undergarmet is on backwards. Weequay is still referred to as Skiff Guard. The actual Boushh figure has also been added. It's interesting to see how a figure can change as it nears production. 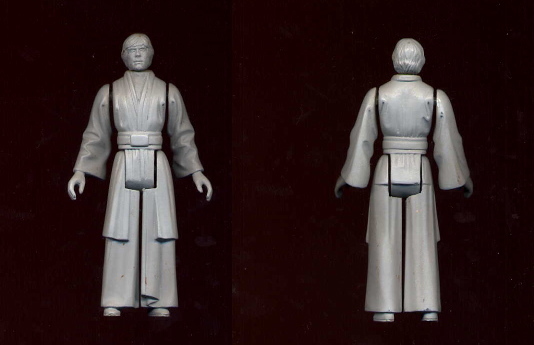 This prototype was designed based on the Kenner drawing, but it was certainly Lucasfilm that had it altered so that it matched the outfit that ultimately appeared in the movie. This particular example is a hardcopy painted with grey primer and made of dynacast material. The next step in the process would have been to paint the figure as shown in the Meccano photo. There are two complete figures like this known to exist and two more that are missing heads.